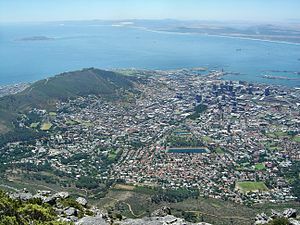 Cape Town and Robben Island seen from Table Mountain. Roadsign mô N2 kô Hamburg, o bona ke Grahamstown le King William's Town. This page was last edited on 21 Mopitlo 2017, at 09:53.